The superintendent of Traverse City schools was praised for his leadership last night. The Traverse City Area Public Schools board rated Paul Soma “highly effective” during his annual evaluation. The evaluation lasted about two hours and happened behind closed doors. No one from the public was there when the TCAPS board came out of closed session and read aloud the superintendent's top marks. Soma scored four - the highest possible score - in almost every category, including student growth and community and staff relations. His final score was 3.885 or 97 percent, which corresponds with a rating of "highly effective." This glowing evaluation comes after a year of upheaval. About nine months ago, a group of principals and assistant principals gave a vote of “no confidence” in Soma and his executive team. There were allegations of a hostile work environment and gender-based discrimination, but a private investigator found Soma did not violate the law or school policy. "It’s unfortunate there’s been so much adult drama in TCAPS," says Joe Esper. He's principal at West Senior High and the head of the Traverse City Administrators Association – or TCAA. That’s the group that made the allegations. Since the investigation wrapped up, TCAA members have had a chance to meet with Soma and work on their differences. Esper says they don’t agree on everything but there have been some good changes. Last month, TCAPS changed the way grievances are handled for TCAA employees. Now their grievance process includes binding arbitration. Previously they had non-binding mediation. "We have a good working relationship with the executive team right now," says Esper. Soma agrees saying, "I feel like we’ve made ... progress with the TCAA." But Soma still thinks he was treated unfairly, especially a conclusion made in the investigative report that said he was verbally combative. "I did not get due process," he says. "That conclusion and what I’ve had to endure as a result of that conclusion is very close to libel." Soma says that characterization as verbally combative has prolonged public criticism and prompted malicious attacks. "I think the man has been through a public flogging that nobody else in this town has been through in a long, long time," says board member Scott Hardy. "So he obviously love TCAPS and likes what he’s doing and is committed to changing his side of the equation." Traverse City school officials have released to the public an investigation into the district’s superintendent. Traverse City school officials have cleared the superintendent of allegations of illegal gender discrimination. The board of Traverse City Area Public Schools voted unanimously Monday night to accept the findings made in an investigative report. In March, the board hired a firm to look into claims that Superintendent Paul Soma bullied female principals. The superintendent of northern Michigan’s largest school district will keep his job. 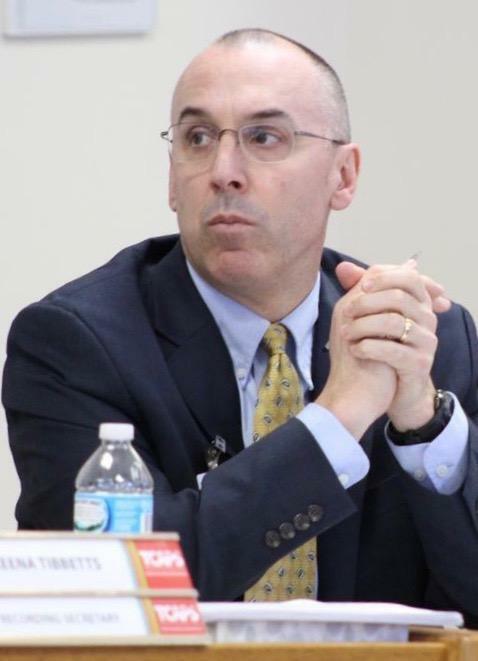 The board of Traverse City Area Public Schools voted unanimously to keep Superintendent Paul Soma during his annual performance evaluation Monday. More than 60 people showed up for an emotional school board meeting in Traverse City Area Public Schools district Saturday. Most people showed up in support of Superintendent Paul Soma. Updated March 9, 2018 at 4 p.m.
A letter from Traverse City school administrators alleges the district superintendent bullies and intimidates female principals.